The younger the kids are, the easier it is to master a new language. The course allows the preparation of children to the school environment. Through interactive games, songs, nursery rhymes and storytelling, toddlers are able to learn English as a communication language. 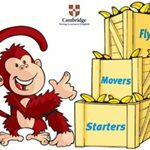 Through stories, nursery rhymes, art & craft, funny games and so on, children will be able to enlarge their vocabulary, improve their sentence structure and pronunciation, etc. The course also encourages children to build up their independence, confidence and communication skills. Interaction and fun are the important elements for effective learning. 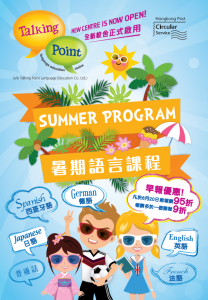 Through various daily life topics, all 4 language acquisition skills will be strengthened. What’s more, students’ vocabulary base, sentence construction, comprehension and grammar will also be enhanced. This course provides a full coverage of all examination areas. Mock examination will be offered to ensure students are familiar with the examination format and skill. Examination results are benchmarks of English standard when they apply for English secondary school. 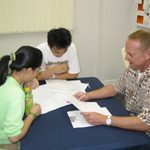 It is a general English course for F1 to F7 secondary school students. 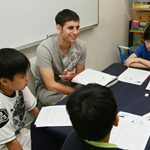 The course provides a diversity of ESL activities ranging from comprehension and composition to group discussion and role play. 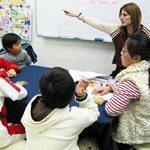 Through the activities, students will learn and improve their oral and pronunciation skills, reading comprehension techniques, creative and practical writing techniques, presentation and discussion skills. Phonics is essential in reading and spelling. By using games, flash cards and video, students learn the sound of each letter and how to put sounds together. 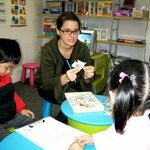 By repeated practice of phonics activities such as reading stories, poems and novels, students will improve their abilities of pronunciation, reading and spelling.